Scotland Yard detectives flew to Guernsey on 11 January 1949, ready to start work the following day on a lead they were pursuing. The London police were following up the theft of £250,000 worth of jewellery from the Duke and Duchess of Windsor. The Duke and Duchess, formerly King Edward VII and Wallis Simpson, had lived in France since the Duke’s abdication, but were staying at Ednam Lodge, Sunningdale, when the valuables disappeared. The robbery itself had been daring but somewhat clumsy, and when the royal couple returned from London to discover what had happened, they naturally involved the police right away. A search of the grounds was organised, during which officers found around £30,000 worth of jewellery scattered on the ground. Moreover, where many of the looted items had originally been pairs, in several cases the thief or thieves had taken only half of the set. This would make identifying the missing part easier should it ever turn up. Although it was obvious how they had gained access – they’d climbed a drainpipe outside the royal couple’s window – they’d been careful not to leave any identifying marks behind. However, Guernsey Police had somehow come across jewellery that seemed to match the missing gems’ description and their colleagues from London – Detective Sergeant Monk and Chief Detective Inspector Capstick – had a list of people they wanted to interview on the island. In 2003, the National Archives in Kew released its file on the case, in which Scotland Yard named housebreaker Arthur Charles Holmes as the culprit. He was never brought to justice because they had neither sufficient evidence, nor a confession. He had lived close to the Sunningdale residence and, the year after the break-in, was arrested and sentenced for 26 cases of housebreaking. 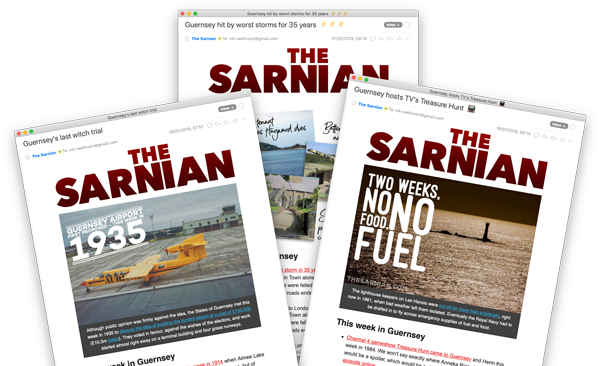 The Guernsey Language Commission works to presrve and promote Guernesiais.